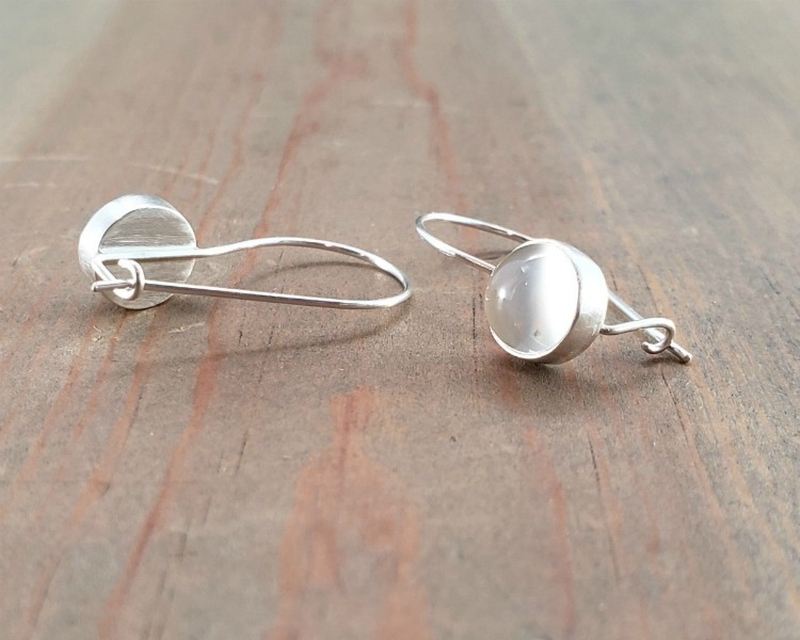 Delicate moonstone earrings with a comfortable kidney wire will be a go-to everyday favorite. These gemstone dangles can go from day to night, casual to dressy. 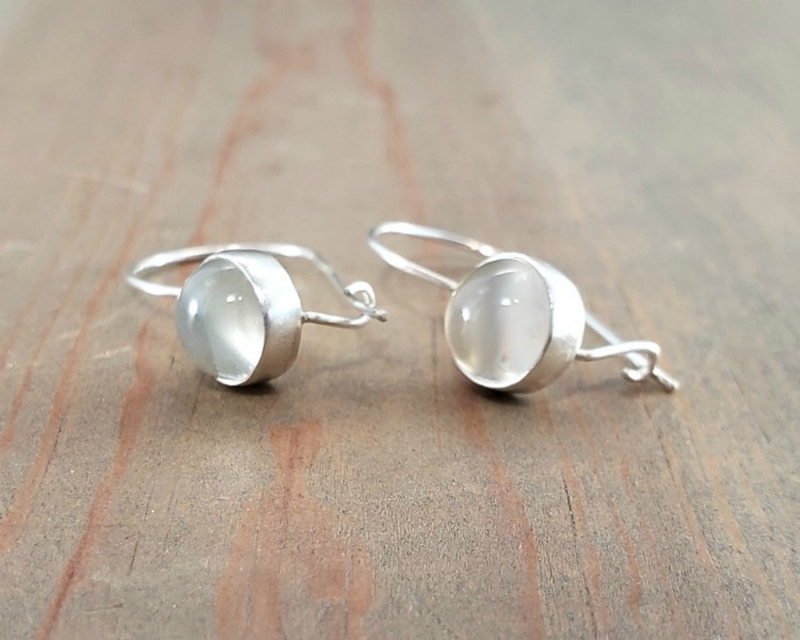 Moonstone is also one of the birthstones for June -- these earrings would make a great gift. Attached to kidney ear wires hand formed from 22 gauge sterling silver. These thin ear wires are what make this style of earrings so comfortable. 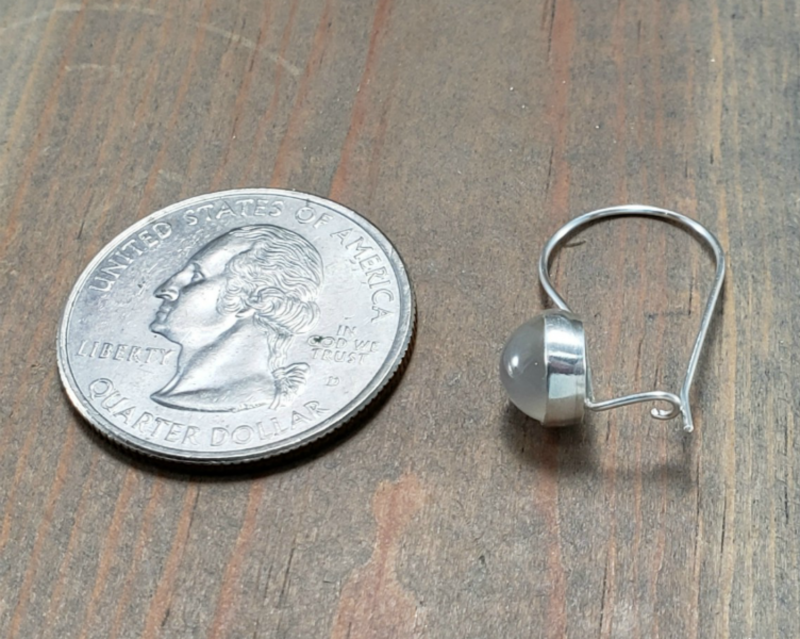 Distance from the top of the ear wire to the base of the bezel is about 1 inch. Each pair is individually handmade so dimension can vary slightly. 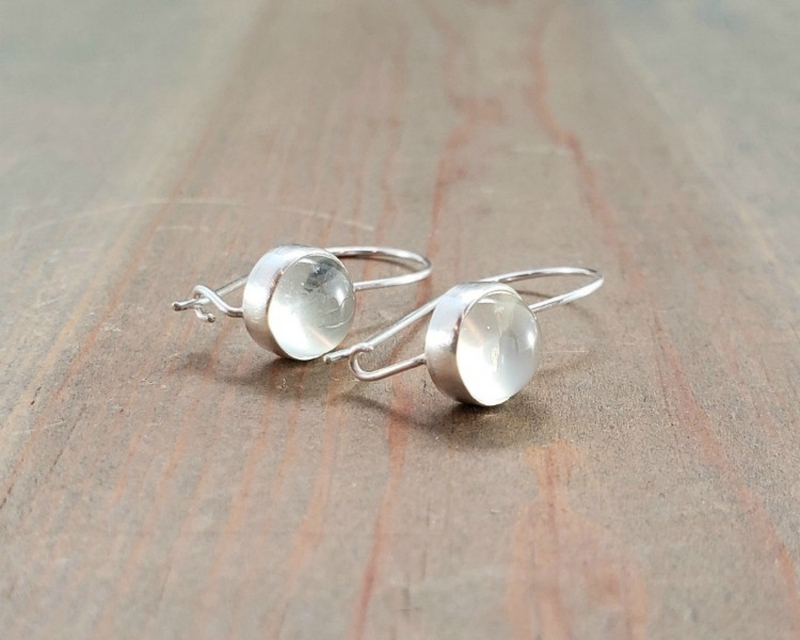 These earrings are just beautiful -- delicate and elegant, exquisitely made. Delivery was fast and they came in a lovely pouch. These earrings are versatile, too, and can be worn daytime and would also look great for evenings. Highly recommend!! Beautiful! Fast shipping too! Thank you so much! 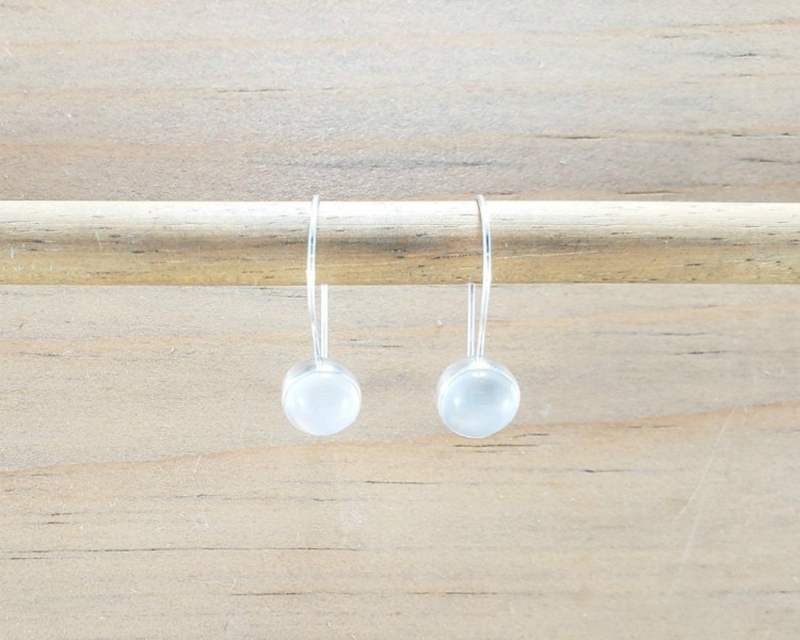 Beautiful delicate earrings, with luminous moonstones! Lovely earrings. Dainty and feminine. I wish the silver wire was thicker. Overall, elegant earrings.